With the release of her twenty-first thriller, The Perfect Stranger, N Y Times bestselling suspense novelist Wendy Corsi Staub will have published more than eighty novels in various genres. 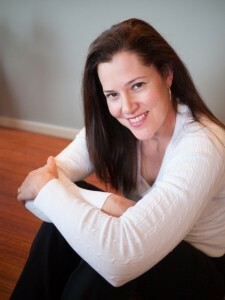 Wendy has twice been nominated for the Simon and Schuster Mary Higgins Clark Award; and is the recipient of the Romance Writers of America Rita Award; the RT Book Reviews Award for Career Achievement in Suspense; the RWA/NYC Golden Apple for Lifetime Achievement; and many other honors. Wendy’s titles are regularly selected as features for Mystery Guild, Literary Guild, Doubleday Book Club, and Rhapsody Book Club. Her new novel, The Perfect Stranger, concerns Landry Wells who is involved with a group of women bloggers, all of whom have something in common—breast cancer. One blogger is dead, the victim of a random crime—or was it? At the funeral, Landry is about to meet her online friends, with whom she’s shared things even her husband and children don’t know. These women know everything about her—and one might be a cold-blooded killer. 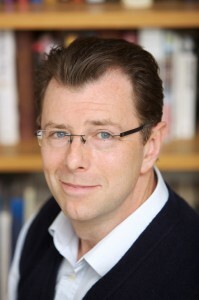 Conn Iggulden is internationally known for his historical fiction. He’s written the Emperor series about the life of Julius Caesar, and the Conqueror series, based on the lives of Mongol warlords. He’s also written a series of children’s books called The Dangerous Book for Boys. Now, he’s begun the Wars of the Roses series with the first of three books, Stormbird. This series focuses on the betrayals and machinations behind the story of the two royal families who plunged England into one of the most bloody and brutal periods of British history. Michael Connelly’s books have been translated into 36 languages and have won many awards. 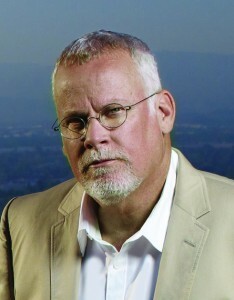 His best known crime fiction series features LAPD Detective Harry Bosch. His other hugely popular series features criminal defense attorney Mickey Haller. Michael has been a crime reporter, has written the Jack McEvoy series, stand-alone novels, many short stories, as well as non-fiction. Peter James and Ian Rankin are among the foremost writers in the UK. Internationally acclaimed, their books have been translated into dozens of languages, and are regularly on best-seller lists. Peter James has written 25 best-sellers. His most famous character is Brighton-based Detective, Roy Grace. As a writer and reader, I have more than a passing interest in book reviews. While some writers say they don’t pay attention to reviews, that level of insouciance escapes me. I think it’s a natural human tendency to be more than curious about what readers think of your work—good, bad, or in-between. I can barely imagine a writer who doesn’t read reviews. I’m not talking about reviews from trade publications such as Library Journal, Booklist Publishers Weekly, and Kirkus. They could be the subject of an entirely different piece. Rather, when asking the question “To Review or Not to Review” I’m referring to the millions of reviews posted by readers on internet sites such as Amazon, Goodreads, Barnes & Noble, Shelfari and others. These can be brief, telegraphic, one or two sentence entries, or long disquisitions about a book and its merits or shortcomings. Ingrid Thoft’s acclaimed debut novel, Loyalty, introduced mystery lovers to her protagonist, Fina Ludlow. Fina is a top-notch investigator for her family’s law firm whose senior partner is Fina’s father, Carl Ludlow. Ingrid’s just-released novel, Identity, involves thorny legal and psychological issues raised by a single mother, Renata Sanchez, who was impregnated by artificial insemination. Though she signed an agreement to keep the donor’s identity secret, she is convinced that making her child’s father part of her child’s life is best for her daughter. Fina’s task is to uncover the identity of the sperm donor. Complications ensue—the biggest being the donor-father is murdered only hours after his identity is made public. The case turns into a homicide investigation and Fina must find out not only who murdered the father, but why he was killed.